Life is getting back to normal. Not only did I get to do some cooking (see the gobbled up bowl of spinach soup?? it’s rare that everyone loves something I make! ) this weekend, but I also got to do some sewing. 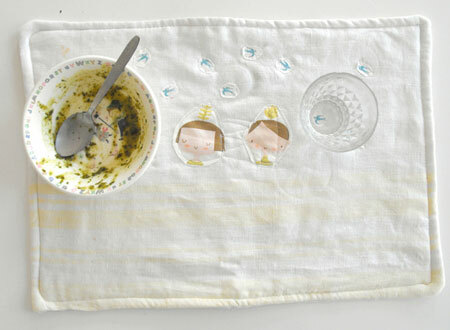 This is the first of 4 placemats I am planning on making. It is made from a thrifted linen table cloth and various scraps stitched on. I worked roughly from the pattern in Patchwork Style by Suzuko Koseki. I love it! I also made a batch of our favourite butterscotch pudding for our family Easter dinner (which I actually didn’t make it too… more on that in another post). I found this recipe in the February issue of Gourmet magazine at my local library (sadly this magazine is now out of print). 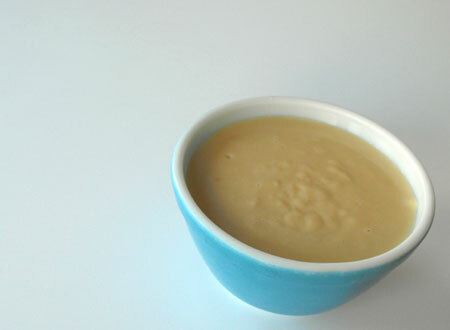 If you like pudding, you have to try this recipe. It is a great simple desert and only takes about 15 minutes to make. *Whisk together brown sugar, cornstarch, and 1/4 tsp salt in a heavy saucepan, then whisk in milk and cream. Bring to a boil over medium heat, whisking frequently, then boil, whisking 1 minute. Remove from heat and whisk in butter and vailla. 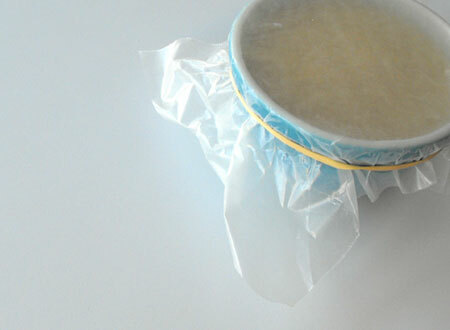 Pour into bowl, then cover with butter wax paper and chill until cold, at least 1 1/2 hours.